I’m convinced that’s why she learned to say it often. Aaaaaand why so many social gatherings ended with her vomiting clouds. How quickly we discover the power of having an attitude of gratitude. The benefits include: better health, better sleep, better relationships, better achievements. I’ll stop, but this blog post has a nice summation of these studies and more. And those are just the benefits to the person feeling grateful. Now just imagine the power of gratitude extended into your business relationships. 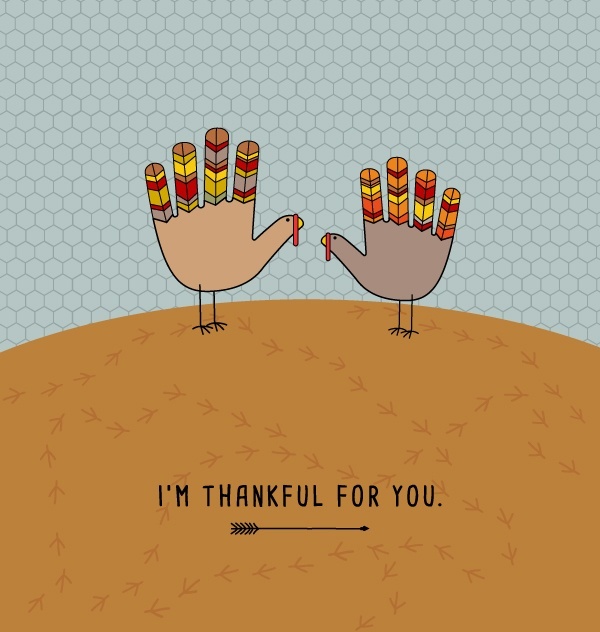 A little thankfulness toward your customers may be just the spark you need to ignite true loyalty. Loyalty is not the same thing as repeat business. At its core, loyalty is an emotion. Loyalty is such a powerful emotion that it can lead to positive member actions. Some of these might include: glowing reviews, referrals and, of course, repeat business. Studies have shown that forming deep relationships with members is indeed an important step. In fact, the biggest reason customers leave companies isn’t because of issues with products or pricing. It’s because they believe the company doesn’t care about them (68%). People crave a positive connection with their groups. Fortunately, we know one important key to getting more marshmallows loyalty than we can handle. Be thankful for your members. And make sure they know how you feel. This study found that people who received thank-you messages were more likely to continue a relationship. This happened even among complete strangers. But what does this mean for membership groups? Well, if valuable connections are the key to true loyalty, and gratitude is the key to lasting relationships… you do the math. As we’ve said before, member engagement and customer loyalty is the ongoing summation of constant positive experiences. Mixing gratitude into every one of those experiences will enhance the customer’s appreciation, while an absence of it may stand out darkly in their minds. Much of the business world is moving away from gratitude, and going all in on profit at whatever cost. Let them. Set yourself up for long term success (and increased member retention) by emphasizing your appreciation. It should be emphasized in a company’s culture, from the beginning of the hiring process, to encouraging displays of it in interoffice exchanges. So by the time employees are interacting with customers, they’re already armed with all the strategies they need to make them feel appropriately appreciated. In face-to-face interactions, encourage your staff to say thank you first, before a customer can say it. Teach them to look customers in the eye when they do. It’s personal and impactful. If the rest of their experience has been positive, it’s like a cherry on top. Also, write your thanks. Handwritten notes will forever be appreciated, but even your regularly scheduled emails can serve as vehicles for your appreciation. In fact, emails with the words “thank you” in the subject line enjoy a higher open rate AND click through rate. Expressing gratitude online through social media has the added benefit of cultivating favor among the other people (potential members, perhaps) who see the message too. People respond to thankfulness in all forms. Loyalty is inherently reciprocal. What have you done lately to show your loyalty to your members? Do they know you value how they contribute to your organization, beyond the money they give? If actions speak louder than words, then maybe it’s time to prove your own loyalty. Listen to what they have to say. Carefully consider customer feedback and make sure they know when you incorporate their suggestions. It’s a great way to invite members to share in your vision, and feel a deeper connection to you. You could also give people a break when life makes it hard to meet requirements. Imagine if hotels let members keep their status levels even if they took a few months off traveling to have a baby. Imagine if subscription services waived a monthly fee or two to help out a member too busy to use it because they’re taking care of a sick parent. And if you’re thinking “how am I supposed to know when someone’s mom is sick?” then ask yourself this: have you cultivated an environment where members feel comfortable sharing this with you? There are lots of fun ways to surprise customers with a gift they’re sure to love. Some businesses like to surprise and delight, meaning any customer, at any time, might receive a gift just for being a customer. Giveaways are another great way to give your entire customer base a chance to benefit from your generosity. You could also reserve special gifts and incentives for your most loyal customers. Since they are your best advocates, it’s a good idea to remind them often how much you appreciate their loyalty. Incentives like these shouldn’t be prizes to be earned by jumping through hoops (and by extension, withheld from those that fall short). To be expressions of gratitude, they need to be given with no strings attached. If none of these options strike your fancy, we recently shared a blog post with over 40 customer appreciation ideas. No matter how you say it, members can see through thinly veiled attempts to get them to spend more. Consider MoviePass’s rapid descent. Members were alarmed when they suddenly, and without proper warning, raised fees and piled on the restrictions to near uselessness. Not in this case. Members could feel the disingenuous tone and reported feeling mocked, insulted and lied to. However, other businesses are absolutely nailing it. This email goes beyond the generic default “thank you for your purchase” messaging. Instead, it joins in the enthusiasm and invites their customers into a shared purpose. What a great way to help customers know you care about them. In business terms, if you want your customers to feel loyal to you, you better make sure they feel appreciated first. And hey, thanks for reading. For over a decade, Kendra Lusty has been a writer for Access Development, and currently focuses her research and writing on topics related to loyalty and engagement.